«There’s so much that that transcends in terms of music, fashion, and entertainment» illustrated quotation. Skateboarding, free quote pictures for Facebook, Twitter, LinkedIn, Reddit, Pinterest and other social networks. 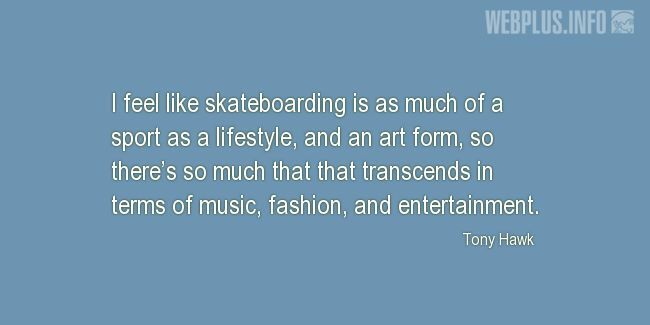 I feel like skateboarding is as much of a sport as a lifestyle, and an art form, so there’s so much that that transcends in terms of music, fashion, and entertainment.